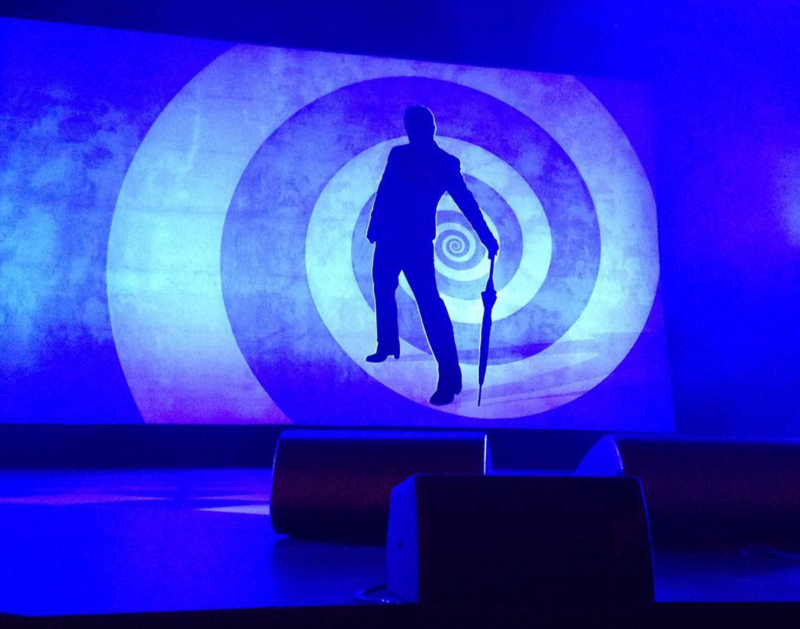 Somehow I managed to score front row, dead centre seats for the current London run of Eddie Izzard – Force Majeure Reloaded. I think the last time I saw Eddie was a way back, for the Stripped tour – which was sitting further back, but randly behind the, then still together Lenny Henry and Dawn French. This time there were no other British comedian legends, or indeed anything else, between me and the British comedy legend that is Eddie Izzard. This was the perfect view from which to enjoy Eddie’s sublime facial and body antics as he capered about the stage acting out various mammals, Darth Vader / God and various people all of whom seem to be called ‘Steve’ (or Mr Stevens). As to the show itself, it didn’t rank as highly to my mind as Dress to Kill or other earlier performances. There’s a tiredness to some of the associations, and whereas earlier when Eddie might crack up at his own joke (or write on his hand that a joke didn’t work) the flow kept going, this time it seemed to create breaks where the whole audience went quiet – eerily so. These lulls were outshone by the times he hit his stride, perhaps mostly so in the re-visiting of the Darth Vader canteen sketch for which he’s now so famous, but this time we end up with a God vs Vader battle which had the whole audience in stitches. So, overall, well worth going down to check it out if you’re in town. There’s one thing you can guarantee about an Eddie Izzard gig… that there will be a wide selection of animals exclaiming about some issue affecting their lives, oh and a healthy dose of history. Guess what – he still delivers all that, and much more, but what’s missing is his usual choice of sparkly clothing. For some reason, Mr Izzard is now cutting a suave figure in jeans, white shirt and a long backed jacket for his Stripped tour in London. This shouldn’t come as such a surprise, since last time we saw him in Montreal he was wearing much the same, but tonight was a much, much better show. Tighter, more laughs, and more cute animals complaining about over-crowding on the ark. Stripped is standard Eddie fare, ramblingly hilarious discursions on how the world can be put to rights, how cool iPhones are and how giraffes hide. What’s good to see is that after so long punting the LA stand-up scene, he seems very happy to be back on home ground. The jokes seem more relevant to a UK audience, although at times the American references passed most of the audience by. That said, the audience didn’t seem to mind – and that audience included random celebrity attendees Lenny Henry & Dawn French. So another big thanks to Mr Izzard for another splendid night, and to those of you who don’t have tickets – get your arses down to the returns queue like we did and keep your fingers crossed! It’s worth the wait.